Did you know that more than 50 percent of internet users either don't use any social networking site or use only one. And that Facebook mobile ads on iPhones generate more than 1000 percent higher Return-on-Investment (ROI) than ads on Android devices. A new infographic created by Imediaconnection reveals that, as of late 2013, 44 percent of companies still weren't measuring social value in their organizations, while nearly a fifth of companies that have measured social ROI found its value to be negative. Moreover 21 percent of senior marketers label themselves as "dissatisfied" with social media marketing. 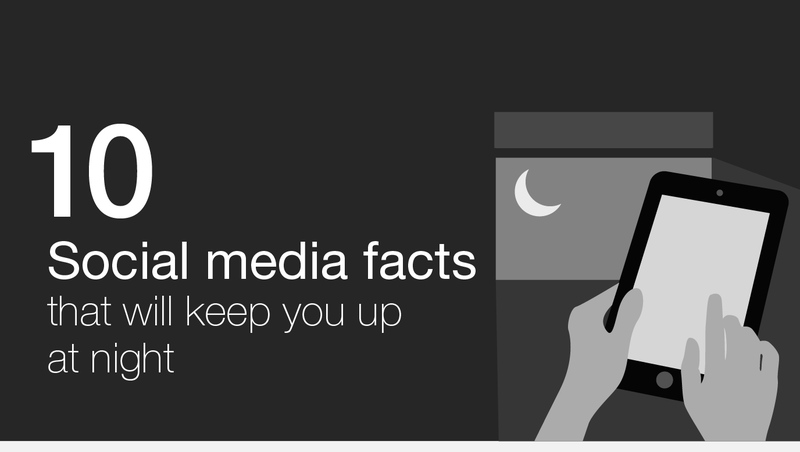 This visual looks at 10 social media facts that will keep you up at night.